Ticket sales ended Nov 30, 2018 6:00 PM. Additional tickets may be available at the box office. Depart from the Steam Railroading Institute in Owosso, Michigan and ride the North Pole Express, behind the Pere Marquette 1225, for a four-hour adventure to the Village of Ashley's Country Christmas! During this round-trip excursion, you will step off the train into a Classic Christmas experience. Choose one of our five classes of service. 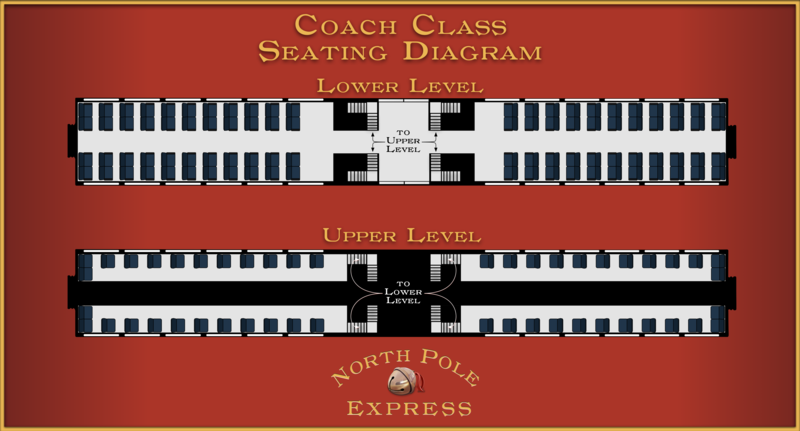 Whether a vintage coach or historic caboos, each offers a different type of comfortable accommodation and Christmas ambiance as the North Pole Express races northward! Once in Ashley, passengers will disembark for a two-hour Christmas party straight out of the past! Activities include live entertainment, arts and crafts, and pictures taken in front of the massive Pere Marquette 1225. Of course, the highlight will be meeting Santa Claus himself!